According to a report on The Ledger newspaper website, Gangapersaud, who was originally from Whim, Corentyne, died when the pick-up he was in was struck by one of the helicopter’s rotor blades. Gangapersaud was in a passenger seat of the vehicle. 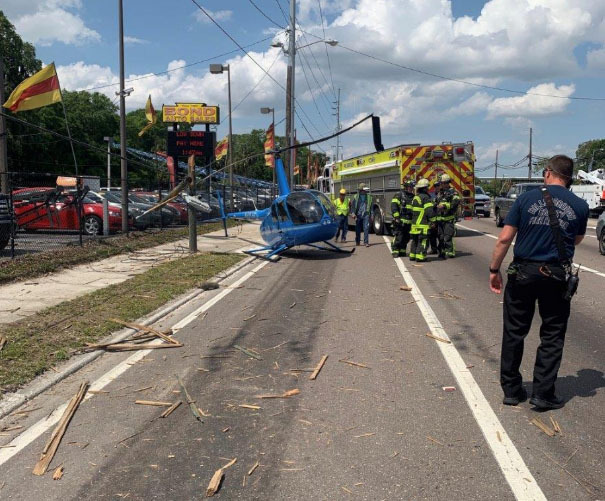 Steve Gaskins, public information officer for the Florida Highway Patrol (FHP), said the engine failed on a private chopper with two occupants and it fell onto 50th Street at Palm River Road about 2.20 p.m. The Chevrolet Silverado pickup was traveling north on 50th Street approaching Palm River Road when one of the blades struck the truck, killing Gangapersaud. His son, Ryan Anthony Persaud, who was also in the vehicle escaped with minor injuries. The pilot and the co-pilot of the helicopter didn’t suffer any injuries…..